President and Co-Founder, David Goldshore, is truly one-of-a-kind when it comes to passion for the Recruiting industry. After graduating from University of Michigan with a BBA, he began his professional career working on Wall Street. While he found the fast-paced mentality exhilarating, it lacked the social interaction that he craved, so he joined Alden Staffing, a burgeoning IT staffing and recruiting firm, to capitalize on his natural talents for understanding people. David started in the business by learning how to recruit top talent for Direct Hire opportunities. While developing his sourcing, and recruiting skills he grew as a Recruiter. 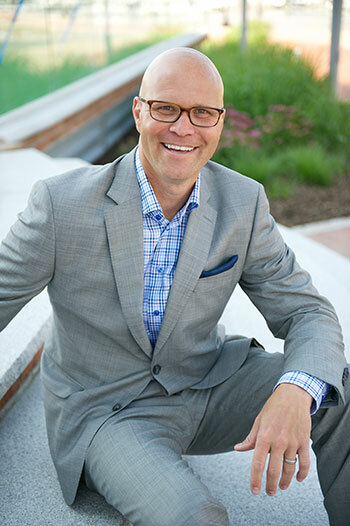 David has over 17 years of experience in the Recruiting business, his unparalleled ability to bring parties together in happy agreements is where his title of the “ultimate closer” was born. Aside from RightClick, David enjoys golfing, coaching his son Jake’s baseball team and wearing the latest trends in fashion! He currently resides in Westport, CT with his wife and three children Jordyn, Jake, and Justin. David likes to vacation in Cape Cod’s famous Provincetown and make his award winning Gefilte fish! Along with taking pride in his growing company, David has one of the world’s largest Beanie Baby collections!